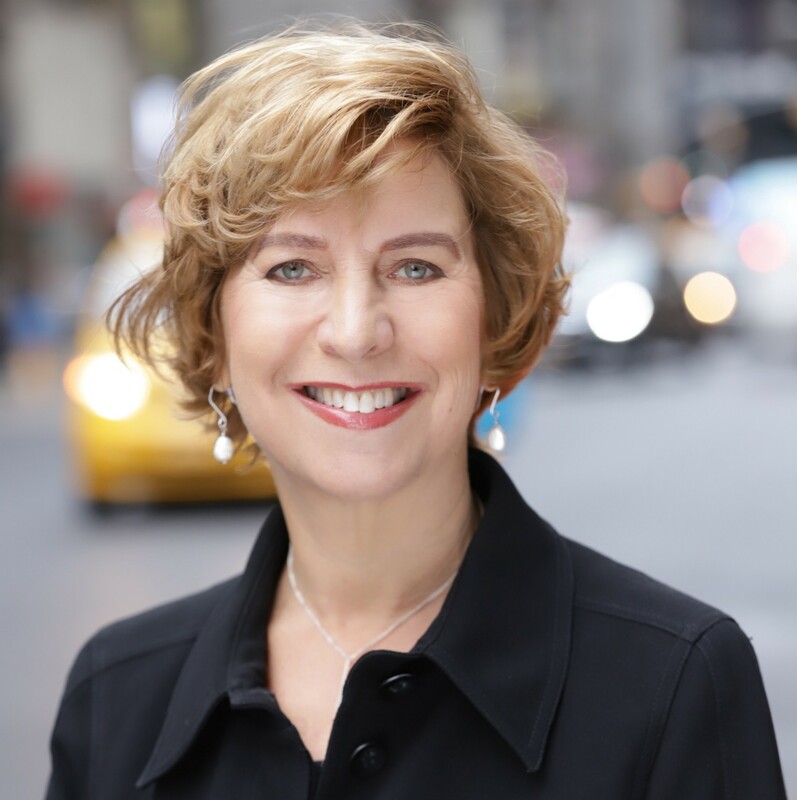 This week, The Idea caught up with Vivian Schiller, the CEO of the Civil Media Foundation. Vivian reflects on her career on the precipice of what’s next in media, and explains why she thinks blockchain could be a viable solution to the two-front war journalists are fighting for good business models and trust. I’ve been in some form of news media for 30 years. There’s an expression from Kierkegaard — not that I usually quote Kierkegaard — “life is lived forward and understood backward.” I didn’t realize it at the time, but looking back I seem to have been tracking along or at the edge of whatever media is next, without ever realizing it at the time. I started with documentaries and longform, which were having a resurgence at the time. I ran documentaries and longform at CNN, then I was recruited to launch a joint venture cable network between the New York Times and Discovery — the first time the Times was getting around to being in television, now they’re doing it again. The joint venture severed, and then I joined the New York Times and ran NYTimes.com in the mid-2000’s. While I was there, we were on mobile for the first time, we had our first Facebook presence, and we were grappling with a lot of things that in hindsight are monumental, but at the time, it was like “we should try this experiment.” I was then President and CEO of NPR and moved them more deeply into digital. There was quite a bit of resistance actually, but we made a lot of progress. I was then Chief Digital Officer at NBC, bringing them into the digital era. They were a bit behind because of a joint venture they were in that sort of ceded all their digital stuff to a team out at Microsoft. Then I went to Twitter to be their Global Head of News, just as Twitter was really becoming a force in news. Now, for the first in my career after being only trying to be entrepreneurial as a part of big companies my whole career, I have joined a startup, which I feel like is something people usually do at the beginning of their career. But here I am doing it deep into my career, looking at the next possible thing that’s on the horizon. I seem to be catapulted along and hopeful had an impact on the way that some of these platforms have formed with regard to the news organizations that I was with. How did you decide to join Civil after this long career path in legacy organizations? Before Civil, I was living the portfolio life, which I loved. I was working on a lot of different separate projects, which added up to far more than full-time — as is usually the way I do things. I was very happy with that, I was doing a lot of meaningful work around journalism. I was working with brands for the first time, which I found absolutely fascinating, because the role of brands in the media ecosystem is profound, and I feel like I understand that so much better now having worked with some of these brands on their communications efforts. I was happily living that life, thinking it’s what I would do for a while, having no intention of going back to a full-time job any time soon, let alone a startup. Then I met these folks from Civil, and something about it just grabbed me. I couldn’t let it go. I decided to join them full-time. I didn’t understand blockchain. I knew it was a thing, I knew it was important, I understood it at a really high level, but not beneath that. My experience in my career has been, whenever new technology comes along, it will at some point have a very meaningful interaction with journalism, and it will have a very meaningful role in the way people get information. Whether that information is fact-based and independent, and is information of integrity, or quite the opposite, if it’s misleading information, whether intentional or not. I knew there would be an intersection between blockchain and journalism; I didn’t know exactly what it was going to be, but I felt very strongly that I wanted to be part of it from the beginning, because I wanted to help shape the way that journalism interacts with blockchain, the way that the public interacts with blockchain in a way that can lead to quality information and not poor information. I wanted to be there to help set it on the right path. If we could all be in Mark Zuckerberg’s proverbial dorm room at the time that Facebook was being shaped, and the notion was that openness will only bring out the good in people. We all know that was naive. If only someone could have thought from the beginning of all the ways that this could be gamed, and ways to set it up so that it couldn’t be gamed, and that was my inspiration for being part of Civil. I also thought it would be really interesting because I’ve done every form of media in my career — TV, digital, radio, print, brands — I haven’t been part of a tech startup with a new technology, so that’s been pretty awesome. Can you tell me about your role at Civil and how the Civil Foundation relates to the rest of Civil? My role is to head the Civil Foundation. The Civil Foundation is a not-for-profit organization. Our purpose is solely about supporting sustainable journalism around the world. Our philosophy is that journalism around the world is fighting a two-front war. One front is around financial sustainability. The old models that have sustained journalism for 100 years have collapsed: print display advertising, print in general, a lot of the legacy revenues have collapsed. As new revenue models come into their place, they’re not fully replacing the old revenue models. The second front has to do with trust. Since trust in journalism has been measured around the world, last year was the lowest ever. We can all point to a lot of reasons for that, but a lot of it has to do with the misinformation crisis that we’re facing on many platforms around the world. Digital media and some of the platforms like Facebook have unleashed the opportunity for bad actors to game the system. At the same time, there are also threats to a free press that we’re facing around the world. That has always been the case in some countries. Who would have thought that in the United States we’d have a president that is attacking the media as the enemy of the people? I think that has emboldened leaders around the world who would also seek to suppress a free press. I’m broadly categorizing that into trust. Journalists are facing this war on two fronts, and this isn’t just about protecting journalists. This is about protecting the way that the public gets reliable information so they can participate in society. I would never tell you Civil has the answers to all of this. We are a brand new startup. We believe that what we are creating has the opportunity to help news organizations on both of those fronts. That is the mission of our organization. I’ll start by explaining what the Civil foundation is, then I’ll get into what Civil is. The Civil Foundation’s role is to support news organizations, on both the trust and sustainability fronts. We do that by helping news organizations come on to the Civil platform. We don’t own the Civil platform, no one owns the Civil platform. It is a decentralized platform that is owned only by journalists and the public that they serve. We help people come onto Civil, and then we help them use that platform to raise their perception of trust. We help them with monetization, we’re providing them with tech tools, we’re providing them with free tech tools, we’re providing them with discounts to services that they need in order to sustain around CRM, crowdfunding, or analytics. We’re supporting them with educational webinars, we’re connecting them with each other by networking all of these news organizations around the world so they can share best practices. We provide them with the information, support and tools that they need. That is the mission of the Civil foundation. We’re enabling the governance on the Civil platform, which I’ll explain in a minute, which is around standards, practices, and ethics. That is the not for profit organization that I run. Civil is a giant organization of four and a half people (I’m obviously being sarcastic). Civil is a new platform that we literally have just launched in the last week that is a new architecture for news organizations and the public to interact with each other for the public to financially support news organizations, and for the discovery of quality news and information around the world. It is completely decentralized. Think of it as a co-op for journalists and the public that they serve. Civil is built upon blockchain technology because there is no other technology that would allow this kind of decentralized governance whereby there is no owner, there is no corporate entity in charge, there is no billionaire in charge, there is no one. It is cooperatively governed. Blockchain enables that. The instrument of that self-governance is a cryptocurrency called the CVL token. The word “cryptocurrency” sometimes scares people, but all a cryptocurrency is in this case is a piece of software that serves as a voting instrument. It’s also a currency that you can use to reward newsrooms. Primarily, it is a voting instrument. Newsrooms own tokens because we’re giving them to them. The public owns tokens because they’re buying them in the form of membership to Civil. They can use those tokens to support newsrooms, or to challenge a news organization that does not meet Civil’s standards and tries to be a part of the network and they don’t belong there. The heart of Civil is a document called the Civil Constitution. For journalists, it’s pretty garden variety standards and ethics. It creates a threshold for newsrooms that gets to be on Civil. The institutions that wouldn’t meet the criteria to be on Civil would be InfoWars, which peddles in misinformation, information not based on evidence-based facts. It would not allow RT, which is not an independent news organization, on the contrary it’s beholden to the government of Russia. It would also not allow a perfectly fine content provider that’s not journalism, say a blog that is hosted and sponsored by a mattress company. It may have good information on it, but it’s not journalism. Those organizations would not meet the criteria of the Constitution. When an organization applies to be on Civil, that application is public and people can check it out. If you have tokens and you want to challenge that news organization, you can do that using tokens, which triggers a community vote, and that news organization would be voted off. In the event that somebody feels that a news organization has been challenged and attempted to be voted off unfairly, there is an appeals process to something called the Civil Council, which is a group of nine academics, journalists, free speech attorneys and others around the world, who will review an appeal and might overturn the vote or uphold it. If they overturn a vote, that can be overturned by the community by a supermajority. This is the kind of thing that when I say we have a very complicated architecture in place, there’s a very good chance that that series of ratcheting up of appeals and counter-appeals will never be needed, but if it’s needed, it’s there. That’s what I mean by trying to think through from the beginning how things might go wrong. That’s basically the essence of the governance and self-governance of Civil, but it’s important to say that the power of the membership and the power of these tokens is not just about dinging bad guys. More and more there will be opportunities coming online that are for the good: ways to support news organizations. Anyone can build a tech tool on top of the Civil platform, and we’re going to encourage tech companies to do just that. Some of the things that are already being built by the Civil Media Company, which is the for-profit, which I’ll talk about in a second, or others, are tools to allow micro-tipping with tokens, or tools that will allow a news organization to archive its content to the blockchain so it will never be taken down. Servers can be taken down, or they can go down due to a systems failure. These are just some of the tools that will be coming along. Another tool that will be coming along is a seamless syndication and licensing tool. The Civil Media Company is in a partnership with the AP that will build syndication tools that will allow any organization to either license or syndicate their content without having to set up a contract administration department or contract tracking, it would all happen automatically through smart contracts. Do you think the people who are already susceptible to believing fake news are the same people who are going to buy into Civil’s credibility badges? I’m not so naive to think that we’re going to win over people who don’t believe in evidence-based journalism. We’re not. If somebody is an anti-vaxxer or a climate change denier, and they are not open to understanding or accepting the science, those people are not going to believe in Civil. There’s no silver bullet to the crisis that we’re in, in terms of people not agreeing on a foundation of evidence-based facts. One of the most important things that we can do to combat misinformation is more quality information. We are facing a crisis, not just in this country, but around the world, with news deserts. As news organizations shut down because of the financial crisis, or go out of business, or get co-opted by parent companies that are strip-mining them, or have an agenda like a Sinclair, there is less and less quality information made to citizens around the world. With Civil, part of what we’re doing is enabling small news organizations to grow, and also to enable new news organizations to come into existence. When we first started out we had some funding for a bunch of news organizations that we gave grants to that allowed them to come into existence, and they were our early partners. Some of those are Block Club Chicago [Check out our Subscriber Spotlight with Director of Strategy Jen Sabella], which is now thriving in Chicago. They were the exiles from DNA Info, which got shut down. They’re filling news deserts in Chicago. Or The Colorado Sun [Check out our Subscriber Spotlight with Editor Larry Ryckman], these were journalists that defected from the Denver Post, which was being decimated, so our grants have helped them launch the Colorado Sun, which is filling in news gaps in Colorado. Or organizations like Sludge in New York, which is looking at the impact of money in politics. Or Documented, which is doing extraordinary work around the issue around immigration in the New York area. Are we going to win over an anti-vaxxer who doesn’t want their mind changed? No. But we can bring more information in flooding the zone, and that has been proven to help people separate fact from fiction. Right now, there are a lot of Civil skeptics. What do you tell those people? I’m a journalist myself, so skepticism is in my blood and it’s in the blood of every journalist as it should be. I don’t have a problem with skepticism. I have a problem with cynicism and I have a problem with people questioning our motives, but I don’t mind it when people question whether this is going to work. There’s no startup or new technology on earth that hasn’t been subject to skepticism, always appropriately: some things work, some things don’t. It’s completely fine. The only thing that irks me is that some people have questioned our motives. That is the only part that really drives me crazy. Civil is an experiment. It’s possible it won’t work, I hope it does. But for someone to question our motives, I take that very personally. What made you believe in Civil? What sold you on it? I was excited that this was a potential new path. It’s an open question how journalism, particularly local journalism, is going to be sustainable going forward. I’m not worried about my alma mater, the New York Times, they’re going to be fine. They’ve done a spectacular job to make sure that they will be just fine, but that’s a different model, and it’s much more difficult for local or regional news organizations or single subject news organizations. I wanted to join Civil because I was persuaded that there was an opportunity with Civil and what blockchain enabled. I wanted to be part of the solution. I don’t want to just be wringing my hands. For people who say blockchain is just a buzzword and that we’re trying to capitalize on that. Here we are, just a startup, but Wednesday there was an article in one of the token trades saying that the New York Times is hiring someone to look into the opportunities around what a blockchain platform could enable for them [editor’s note: since this interview, that posting was taken down]. It’s not that the New York Times is the end-all be-all of validation, but we’re not the only ones out there thinking there’s something to this. What makes this coin sale different from the initial coin offering that failed? When the last token sale failed, we told everyone we’re going to fix what didn’t work and come back. We really did a lot of updating along the way of every little step of our thinking. We didn’t try to pursue media attention like we did last time, and that’s because when you have something like that happen where it doesn’t work out, you can’t just talk about what you’re going to do next, you have to show people. We just were very much in a show don’t tell mode. We just put our heads down and came up with a new approach, and that’s what we launched last week. We didn’t do a good job communicating who we are or why we were doing it last time, and because of the nature of the last time around as a traditional token sale with a time box of two weeks and a hard cap and a soft cap, that swamped our message in a way that was confusing and counterproductive to what we’re trying to do, which is build a new, sustainable platform for journalism. When we came back the second time, we explained it much better. We are about journalism, blockchain is a means to an end. The tokens are a means to an end. It’s not about the tokens. However, the tokens are the mechanism to make it work. To help reinforce that message, rather than a token sale, we’re asking people to become members. You pick whatever amount you want, it can be as low as a dollar. You become a member of the Civil community, and for that you get equal amount of tokens and some community benefits we’ve added in. I think we explained it in a more clear way, and there’s also no deadline. There’s no soft cap or hard cap, we’re just telling people, come on in. If you want to do it this week? Fine. If you want to do it next week? Fine. You want to do it next month? No problem. It really allowed us to focus on the things that matter and not focus on the tokens as the message. The product people and developers on the team made the process much clearer and more friendly. They built it in a way that if someone is coming on board, we hold their hand along the way. If you already own cryptocurrency, it’s now super easy to buy a Civil membership. Unfortunately, if you’ve never owned cryptocurrency, that’s where the double digit steps comes in. If you’ve never owned a cryptocurrency, there are a bunch of steps you have to take. You have to download a token wallet, you can’t buy ETH with a credit card, you have to link to your bank and upload your passport. That’s where it gets a little complicated unfortunately, and there’s nothing we at Civil can do about it. Once you do own that ETH, which is another kind of cryptocurrency, it’s really easy to become a Civil member. It’s early days for blockchain, it will get easier over time. It’s easier this time, but it’s not like buying something with one click on Amazon. What’s the most interesting thing you’ve seen in media recently from an organization other than your own? Report for America (in full disclosure, I’m on their nonprofit board). I just think they’re wonderful, and what Steve Waldman is doing there is really inspiring, and it’s a fantastic, simple model that’s really working. The American Journalism Project is this new project from John Thornton and Elizabeth Green. I see those efforts and what we’re doing at Civil as part of a trend. We’re all complementary, and it gives me hope for what’s happening in journalism, at least in this country.